“Fans of Good’s best-selling slow-cooker recipe books won’t be disappointed with her latest installment. Good provides plenty of practical tips about what she calls a near miracle appliance. For example, take time to get acquainted with a new slow cooker, fill it two-thirds full for best results, and try out recipes for the first time when at home for the day. And she dispels two big myths: that her beloved machine is a winter-time appliance and that it’s mainly just for beef stew. Fuggedaboutit. True, many of the 250 recipes are for main dishes made with chicken, turkey, pork, or beef. But she gives even more space to pasta, soups, quiches, appetizers, breakfasts, breads, and desserts. Why not wake up to steel-cut oatmeal that’s been slow cooking overnight? The slow cooker can even bake peach cobbler or a fudgy chocolate cake. Each recipe comes with a photo, some (such as mashed potatoes) get a quick and easy label, and several get a bonus tip from Good (such as cooking wine is wine with salt added). 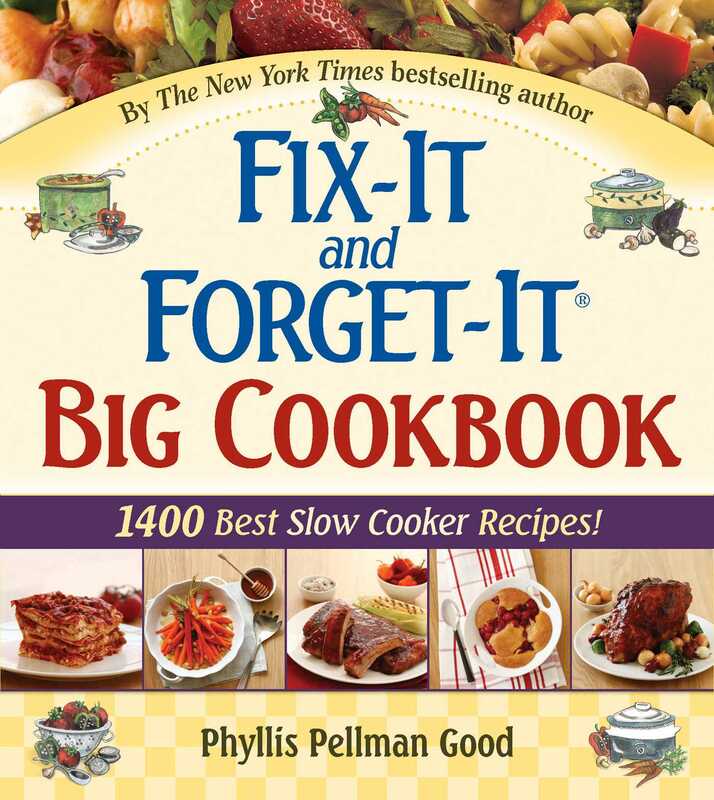 With good recipes and good vibes, the latest Fix-It and Forget-It cookbook is bound to be a best-seller.